Holly Brennan didn’t expect to be a widow at thirty-two. She also didn’t expect to be so big. Through her husband Bruce’s diagnosis and death, food was the one thing she could always count on. Now, those extra pounds make flying coach more than a little mortifying-especially since she’s sitting next to Adonis himself, aka Logan Montgomery, a personal trainer to the country’s most famous pro athletes. Now this is part of the actual summary but let me say that it was enough to twist my interest-nub. This author went down a road not many writers where the main character is overweight and dealing with the loss of her husband. However, without even asking Holly was in need of some saving and it came in the form of one fine specimen. Now believe me I was wondering how this was going to pull through, I thought I was going to get sappy breakdowns and rage all through and through. Yet, Holly just isn’t like that, she’s bright sassy with a mouth with more comebacks I think there should be a Guinness world-record for it. She doesn’t just overcome her physical appearance but gets her self-worth back and as a woman, some of us tend to forget how valuable we are. Yay Holly! I chocked back a sob at one point because I felt I was experience her change with her and when she came to terms with her husband Bruce’s passing. It just did funny things to me…I dunno. Our lovely beau Logan, what should I say about him? I liked him, I thought I wouldn’t though. I pegged him to have this gas-leak type of attitude and go around strutting his stuff, proclaiming that he was superior. No, no, that was NOT the author’s choice he was a humble guy who loves to work out and make people see their true potential. Although he is portrayed as being absolutely perfect, people, he has flaws…image flaws which had me shouting “Can’t you just enjoy the cookie without counting all its chocolate bits? ?” yes this is me censoring things. Eventually they do get to see the bigger picture and realize that when it comes to love, it shan’t be define by outer image but one’s own heart. Also, what made this particular book special was the relationship between Logan’s friend Chase and his girlfriend Amanda. What little meddlers who like things on the wild side. Okay that is all I am saying. But I truly am glad I picked this up during my trip to Vancouver and was able to finish it because it was that hilarious and great. For a debut novel I am giving Stephanie Evanovich huge thumbs up. The only thing that I had trouble was imaging what Logan looked like, the description for him just wasn’t concrete at some moments until made the middle-sih of the book I just gave up and said “he is a fine piece of man-meat and there is nothing I can do about it” That is all. 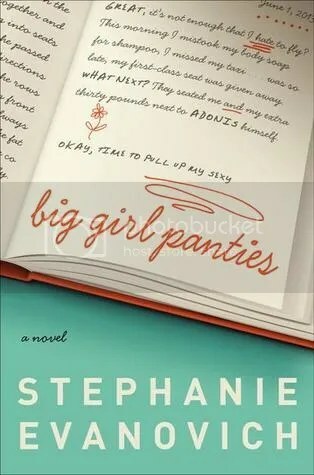 This entry was posted in 2013, Reviews and tagged Book Blog, Chick Lit, Dreamingwithink, Humour, Meli's Nostalgic Tales, Romance, Young Adult by dreamingwithink. Bookmark the permalink.